ETA: Per Courtney’s request, it’s Butterick #2149. If you use it, definitely look at the finished size vs. intended wearer. I used an XL, which should have fit, but I think it’s a bit too big, and I’m going to pick up a copy in the L size for the next ones. The camera print was a no-brainer, really. And the poker one was just fun, but I about died when I found the buttons to go with it. The chili peppers and fortune cookies are mostly just for the silliness factor. Kris seems to like all of them, though. Is that not awesome of her? I have to decide what I am going to do with it, but it’s definitely going to be something REALLY special. I think there’s 3-1/2 or 4 yards there, so any suggestions are welcome. Thanks, sweetie!!! 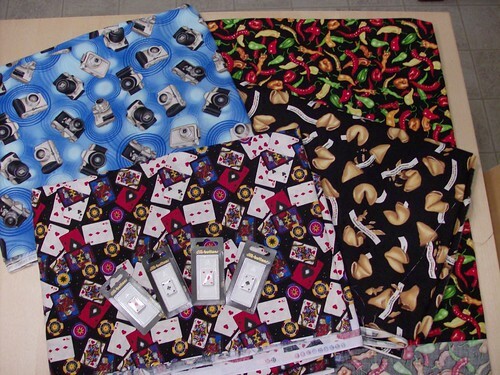 September 27th, 2008 | Tags: FOs, Planned Projects, Sewing | Category: Misc. Ooh, I want that fortune cookie fabric! AW, you’re welcome! 😀 I’m just glad you like it! And totally love hubby shirt. 🙂 LOVE IT! Holy cow woman! 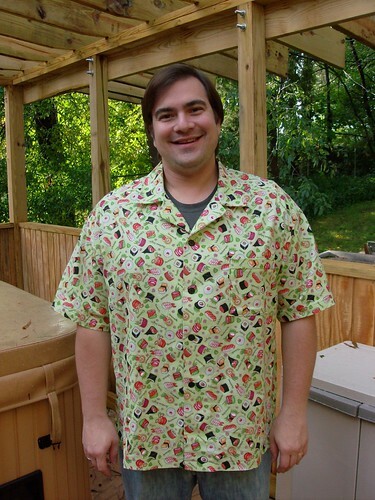 That is an awesome shirt and you’ve got some great new fabrics to make more! Lucky Kris! So much fun going on around your sewing machine! check you out – sewing up a storm! Yeah, pattern sizing has virtually no relation to what size a garment actually ends up. Trial and error. I’m impressed as all heck! A buttoned down shirt already! I’ve got all the pieces cut out for one for myself but haven’t started sewing it up yet. So many pieces! I hope mine looks as good as yours. I’m very jealous of your local fabric stores. Sigh. Jersey needs a good injection of these. 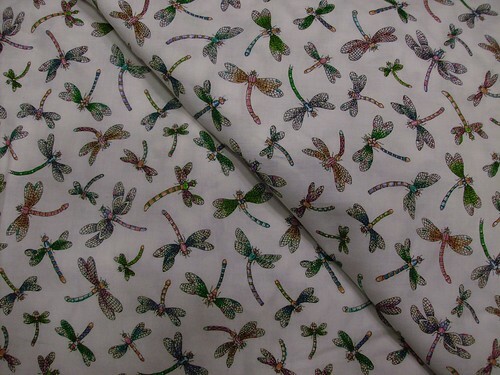 I swear my mom used that same pattern to make some obnoxious shirts fo rme too! So cute, the shirt and the model. Hawaiian shirts are fun to make. Try one in a rayon or a silk next time. The drape can really do things to a basic shirt pattern. It came out GREAT!!! Go you!! OMG! I LOVE that sushi shirt!! Love the shirt!! Great job!! And love the new-soon-to-be-shirts!